No cat can sing like Tabby McTat, Fred the guitar-playing busker’s cat. He loves to sing as people throw coins in Fred’s hat! But one terrible day, Fred chases a thief – and the two are separated. Will they ever sing songs together again? Fresh from the greatest picture book team in the world comes this delightful rhyming story of music, friendship, loyalty – and cats! SAVE 15%* Don’t miss TABBY McTAT – LIVE ON STAGE June 8th – 10th! No cat can sing like Tabby McTat, Fred the guitar-playing busker’s cat. Call 6348 5555 for tickets or visit www.SISTIC.com.sg. Don’t forget to save 10% with the code ‘ABA2018’. Thanks to ABA Productions Singapore! We have 4 tickets to giveaway to one lucky reader for you to bring your whole family to watch the delightful musical, Tabby McTat on its opening night at June 8th, 5pm at KC ARTS Centre – Home of SRT. Please move over to Our Parenting World’s Facebook Page to participate in the giveaway contest. 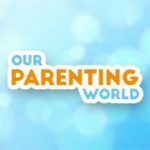 1) LIKE and FOLLOW Our Parenting World Facebook and ABA Productions Singapore Facebook. 3) LIKE, SHARE and TAG at least 5 Family and Friends to share the giveaway post on Our Parenting World’s Facebook Giveaway Post. Hurry, giveaway will close on 10 April 2018 at 23:59Hr. Winner to collect the tickets at the ticketing counter on the day of the show. Please ensure that Step 1, 2 and 3 are completed and your accounts are set to public in order to qualify for the giveaway. 1) The prize is as stated, subject to change and fulfillment by the sponsors. Winners are not allowed to change the prizes. The prize will be non-transferable, non-refundable and non-exchangeable for other products/dates/times. The sponsors reserve the right to amend the competition, substitute any prize or with another of equivalent value without giving notice. Really hope to win the tickets to bring our whole family to watch the delightful musical, Tabby McTat. I wish to be the lucky winner to watch the delightful musical, Tabby McTat with my family of four.